The hotel agency has had several network engineers trying to configure OSPF for them. As a result the whole network is one big mess and they decide to hire you to fix their problems. There are two OSPF areas and all routers are running OSPF. Unfortunately all OSPF neighbor adjacencies are broken…you feel like you are standing on a ledge but you should be able to fix this! Your goal is simple: Make sure all OSPF neighbor adjacencies are working! 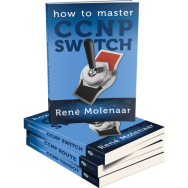 You will learn all the secrets about OSPF troubleshooting and more. I can’t see the link to the topo-file. It’s there now. forgot to publish them….oops! I can’t see the link to the topology-file. Yes I do for most of my labs. You’ll find the final configuration and a video solution on Youtube. I haven’t had the chance yet to create a solution for this lab. Great job on this one. Please create more troubleshooting labs. But one question. What command can I use to tell if an access-list is applied an interface? In a lab enviroment guessing whether its in or out is fine. But on production routers I’d like to know how to do it without using show run. hi rene, got it all working sweet apart from the frame relay, any clues? Very good lab, got it all working except for Janice and Joey forming neighbors. If its related to the frame relay config can someone who solved PM me? I don’t think there are any frame relay related q’s on the tshoot exam so would prefer to focus on what i will face on the exam for now but do want to learn about frame relay afterwards. hey guys can anyone help me to solve the Frame-relay….?? Hello how can i access the solution of this in a video file. 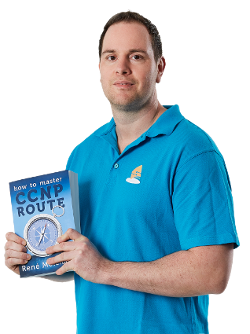 I m new to this website..
Hi all, I would like to try this OSPF scenario but may I know what is the "topology.net" for? How do i run it? use what software to run "topology.net"
It is ok. I manage to out find..Use GNS3 simulator. I will try out the lab. If I have any question. Everything worked fine except Authentication issue. How can I figure out authentication-key configured on other side or for self without checking running config. I tried debug commands but no one shows actual password (and it should not be displayed). can’t open the attached file. "The remote system refused the connection"
You can see encapsulation failed, without wireshark is there a way to find the AUTH key? THERE IS NO LINK TO DOWNLOAD TOPOLOGY YET. this is again, really nice lab, took me while to solve all the issues without sh run (the frame-really issue was tricky one :). 1) Is there any issue to fix on router Jack? Once I finished, I realized that I did not touch it and all pings were working fine. I later checked config to be sure and noticed access-list on FastEthernet0/0, but this ACL is not defined anywhere (thus default deny does not apply to). 2) Is it correct that we have non-continuous area 1? I know that backbone can not be, but I am not sure if this applies for non-backbone ones too. however, does anyone know how to check if an access list is applied to an interface? and second, how do we check which is the password for OSPF authentication? show ip interface, tells you if inbound or outbound ACLs are applied. for the OSPF password, assuming it’s unencrypted, you can see it in the configuration. Otherwise, youll need to break the hash. You can use a key chain for that. Rene, Great Lab!! all i can see is..
you must know what to look for work your way down and you start noticing small silly mistakes. great, great! lab thank you! I swear I got this in first attempt.